Titanic International Society is a non-profit historical organization based in New Jersey that was founded in 1989 to preserve and perpetuate the memory and history of the Royal Mail Ship Titanic, and those who sailed aboard her maiden and last voyage. 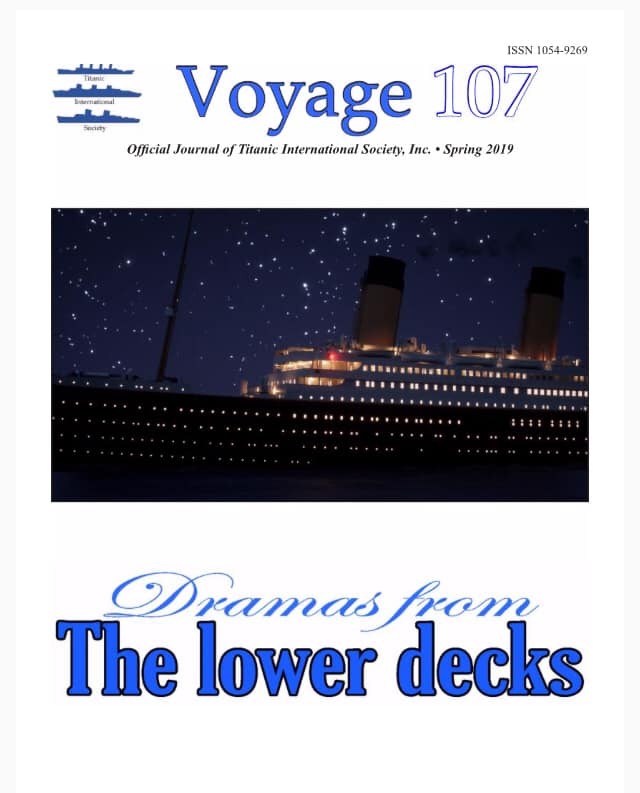 Through the pages of our quarterly, fully-illustrated journal, Voyage, as well as through frequent membership activities, Titanic International Society disseminates the latest research about the Titanic and her legacy along with research and history of the great liners of the Past. With members invited to “get involved”, Titanic International Society is known as the history group that listens, and one which encourages robust discussion on the Titanic and her people. 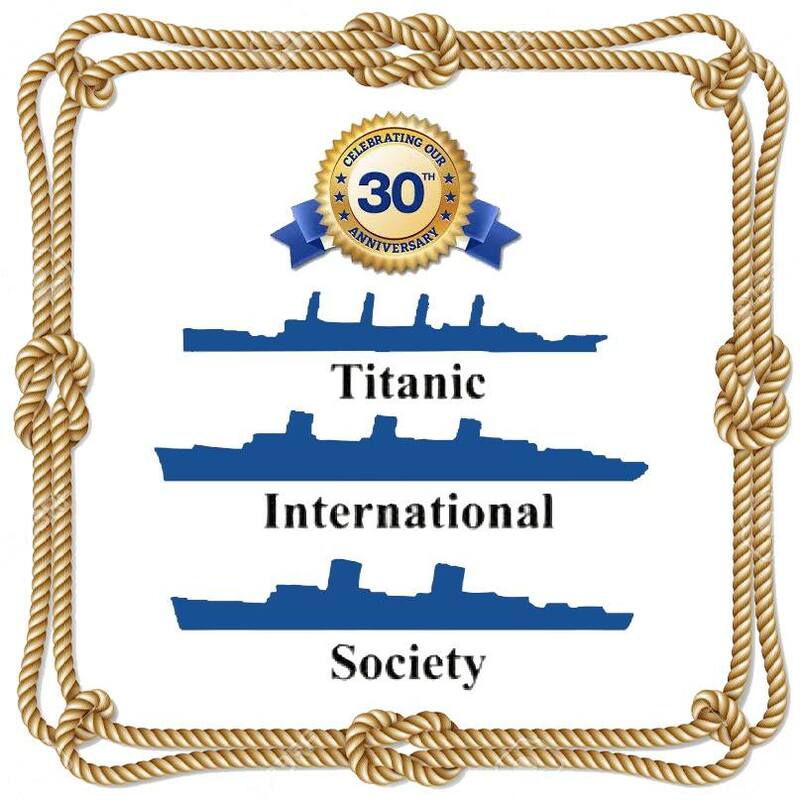 Since our founding in 1989, the Titanic International Society has been active with several events and activities. We have had conventions in New York City, Newark, New Jersey; Memphis, Tennessee; Baltimore, Maryland; St. Petersburg, Florida; Montreal and Ottawa, Canada; Philadelphia, Newport, Rhode Island; and Mystic, Connecticut. Titanic International Society has also coordinated special membership meetings and gatherings and other events such as cruises. In 1996, members and trustees took part in the cruise to the wreck site to witness the first attempt to bring up the Big Piece of Titanic’s hull. • Identifying six previously unidentified Titanic victims buried in Halifax and causing their names to be inscribed on their gravestones. • Presenting a plaque to Ellis Island remembering Titanic’s passengers, who never passed through the immigration station there. • Providing all on-board historical programs during the 1996 Titanic Research and Recovery Expedition Cruise. • Sponsoring a symposium, “The Science of Titanic, featuring experts on sonar, wreck site microbiology and marine engineering. • Providing gravestones and poignant dedication services for third class Titanic passengers Kate Buckley and Oscar Palmquist. • Offering lectures during the 2012 Titanic Memorial Cruise that retraced the ship’s path across the ocean. • Presenting a plaque to the National Postal Museum, Smithsonian Institution, Washington, D.C. commemorating Titanic’s postal workers. • Providing historical information to dozens of television programs, magazine and newspaper stories. • Rediscovering and arranging for the public display of the Titanic Musicians’ Memorial Plaque after a nearly 50-year disappearance. If this is your first visit to our web site, we welcome you to explore our site using the topic pages above which will answer many questions about membership, projects, our journal and upcoming events. Welcome aboard!